Japanese food is becoming more and more popular in the UK. London has hundreds of gourmet Japanese restaurants, while Wagamama has opened 140 branches throughout the UK over the last 20 years. Meanwhile, Japanese snack foods are taking off at home, and are becoming increasingly easy to find in supermarkets. Ready-made isn’t the only option, though. The staples of Japanese cooking aren’t hard to lay your hands on, and it won’t take long to build up a collection of the vital ingredients. Rice is the basis of Japanese cuisine, so you’ll need that first and foremost. The customary japonica rice is a medium grain white or brown rice which is sticky enough to hold together when it’s cooked. It’s often sold as ‘sushi rice’ in the UK. Noodles appear almost as often, and in two varieties. Udon noodles are the thick ones used in soup, which are boiled, rinsed and then added at the last minute to reheat them while retaining their consistency. Somen noodles are thinner, and can be prepared in the same way, or chilled right down after cooking and eaten with a dipping sauce based on dashi (fish stock made from dried tuna flakes and kelp). Soy sauce should be your next port of call. The important thing here is to pick an actual Japanese sauce like Kikkoman or, if you’re willing to spend a bit more, Yasama – it’s not all the same stuff. There are five major varieties within Japan alone, although the most popular, koikuchi (‘dark mouth’), is by the far the easiest to get hold of and the most common within authentic Japanese cooking. Saké and mirin are two different kinds of rice wine. Saké is the stronger, drier one that’s drunk by itself as well as used for cooking, while mirin is most often seen as a condiment – a sweetener that takes the edge off fish dishes and adds a shine to vegetables. Miso is another fermented soy product – a paste rather than a sauce, it’s used as the basis for soups and as a flavouring for tofu or vegetable dishes. It comes in a range of hues and flavours, but the white is the most versatile. Nori is a versatile seaweed sheet, used as a wrap for sushi, roasted for crisps, or broken up as a seasoning. Panko is made from crustless bread, which is ground into airy, large flakes for coating fried foods such as katsu. The big difference between panko and ordinary Western-style breadcrumbs is the rate of absorption; panko doesn’t pick up as much grease from the food it’s coating, and consequently it stays crispier during the frying process. Tofu is usually eaten fresh in Japan, but in the UK you’ll generally have to buy it packaged. The firm tofu is the best for starter cooks – silken tofu has a more delicate taste but it’s also soft and difficult to handle. It’s prized for its ability to absorb flavours and seasonings, forming the nutritious core of many Japanese recipes, but in Japan it’s often savoured as a flavour in its own right. Top those off with leeks, ginger (buy the roots and grate it fresh) and radishes, and you’re in business. 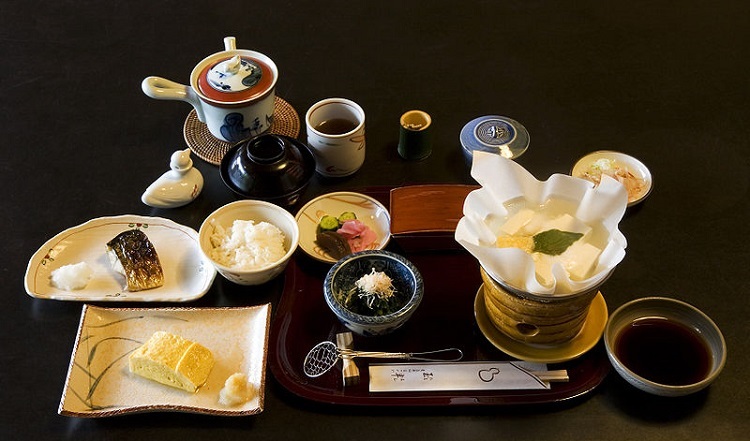 Japanese food is subtle and beautiful, with an emphasis on the flavour and appearance of a single foodstuff rather than a combination of elements into the perfect mixed bite. It may take time, but the end results are deliciously rewarding. Of course, if you’re busy, you can always pick up ready-made snacks and accompaniments from Cafe Asia We make a range of Japanese snacks, and as of November, you can buy our range from Iceland stores across the UK.